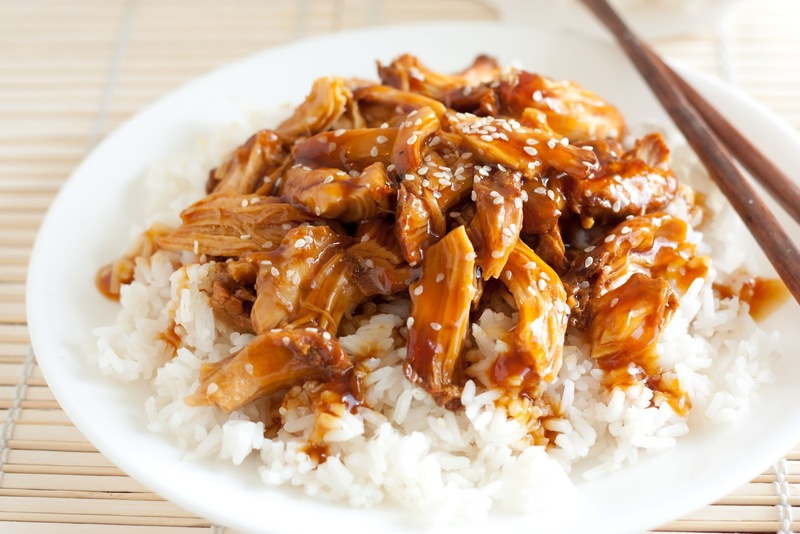 A scoop of white rice with a side of teriyaki sauce. 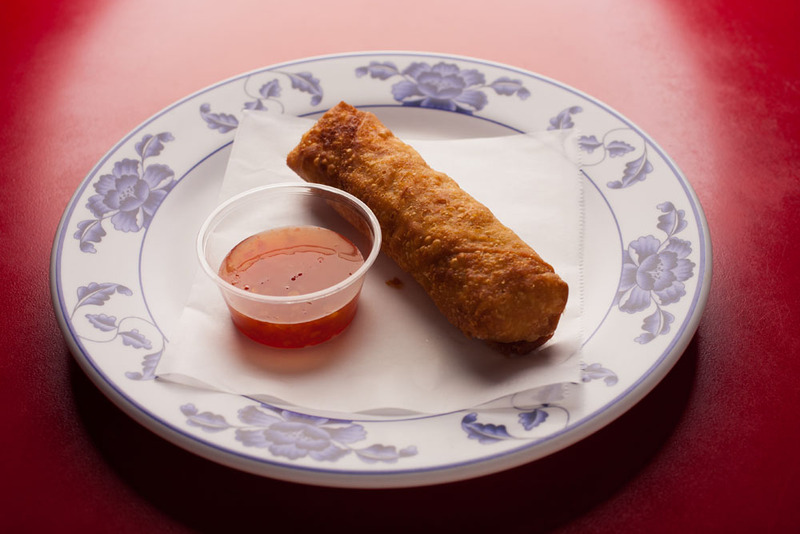 Pork and vegetable wrapped up in a eggroll, deep fried and served with sweet and sour sauce on the side. 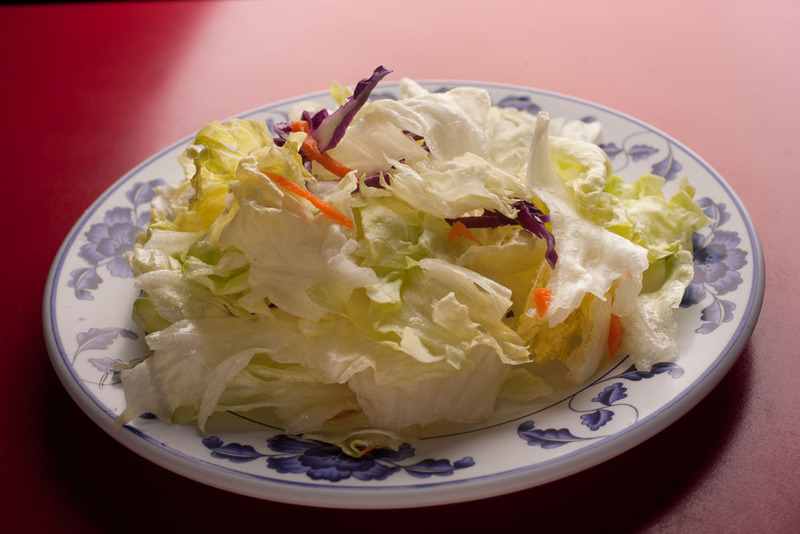 Romaine lettuce, shredded carrots and red cabbage, drizzled with our homemade salad dressing. 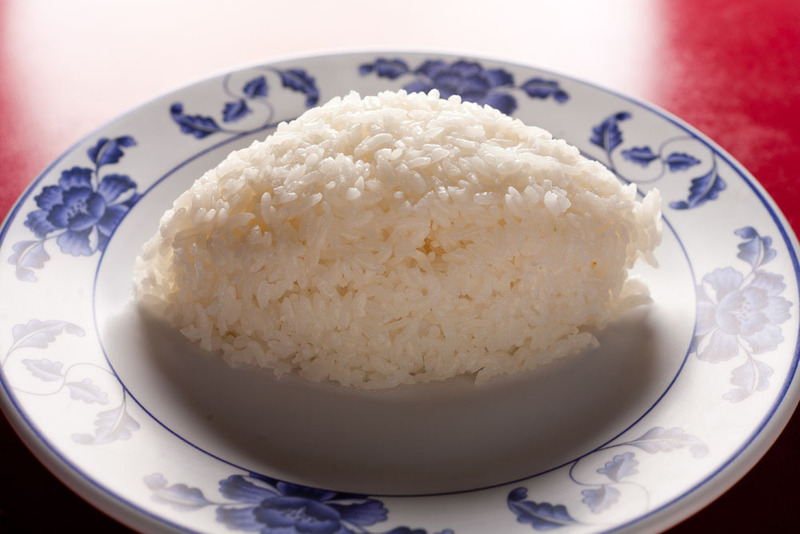 Steamed brown rice, served with a side of teriyaki sauce. 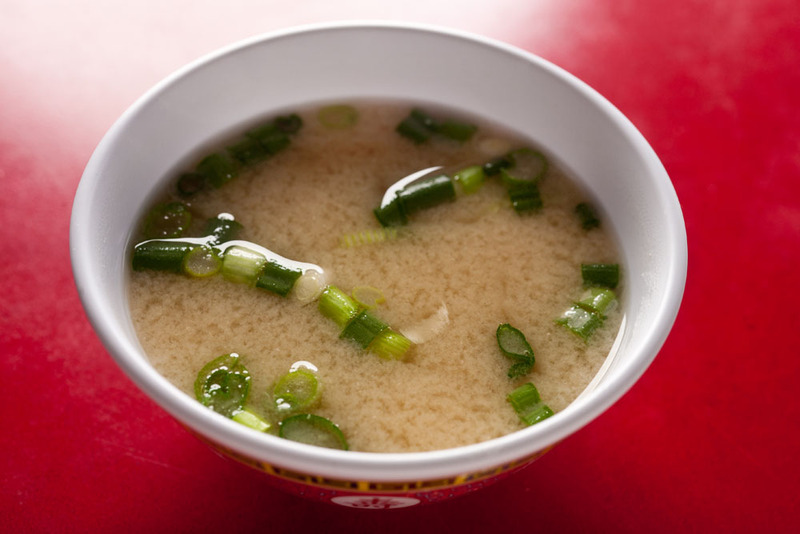 Miso soup with tofu, made every morning daily, green onions optional. 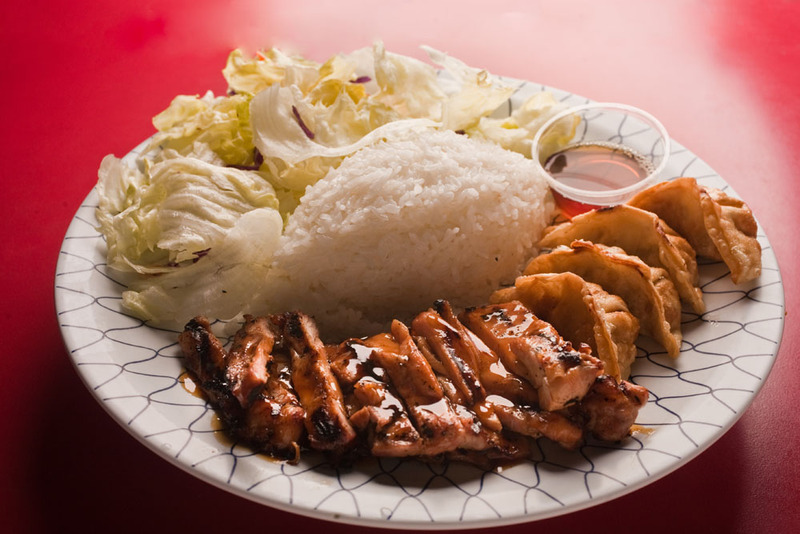 All entrees come with rice and salad. 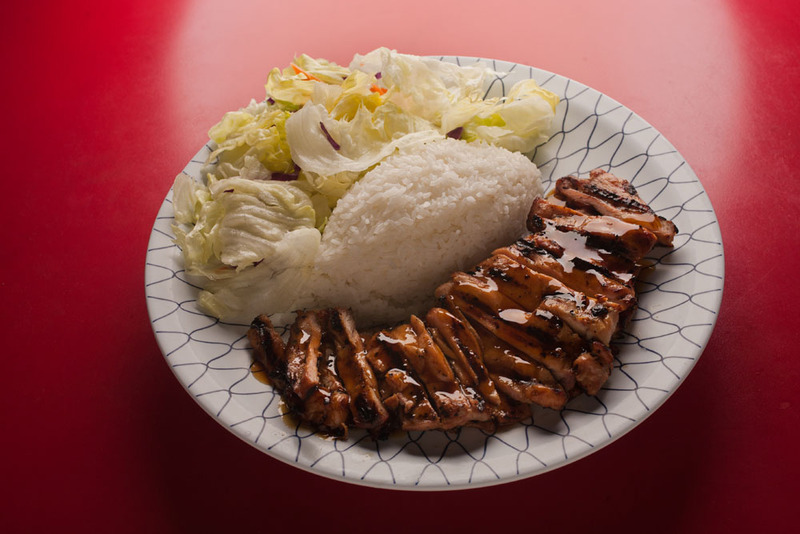 Hand trimmed chicken thigh, marinated and grilled to perfection, served with teriyaki sauce drizzled on top. Entrée served with rice and salad. 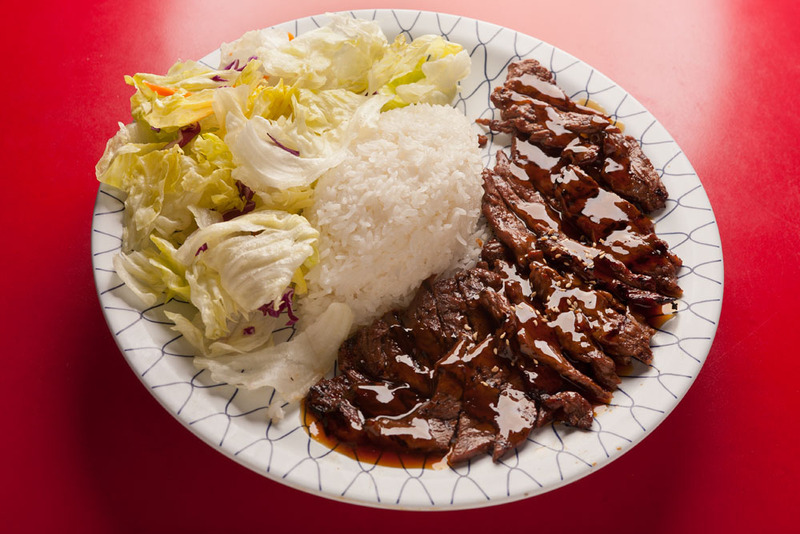 Thinly sliced rib-eye marinated, grilled and doused with teriyaki sauce. Entrée served with rice and salad. 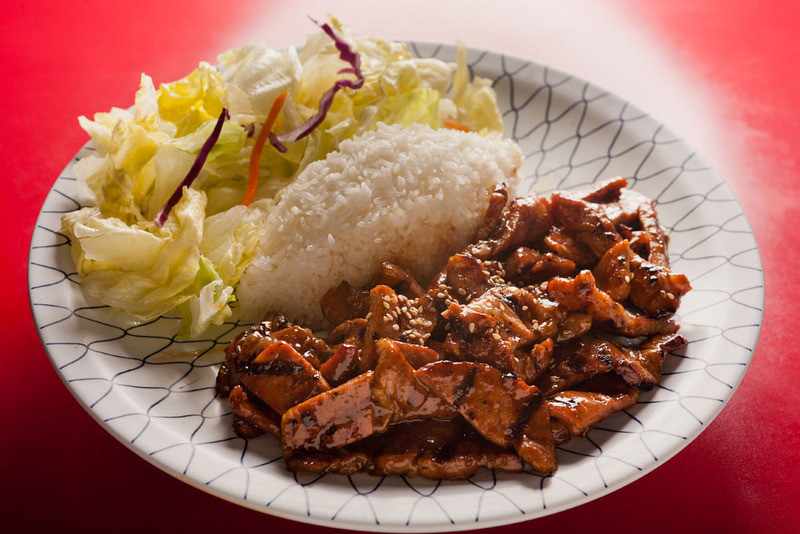 Pork thinly sliced grilled then sautéed with teriyaki sauce, served with rice and salad. 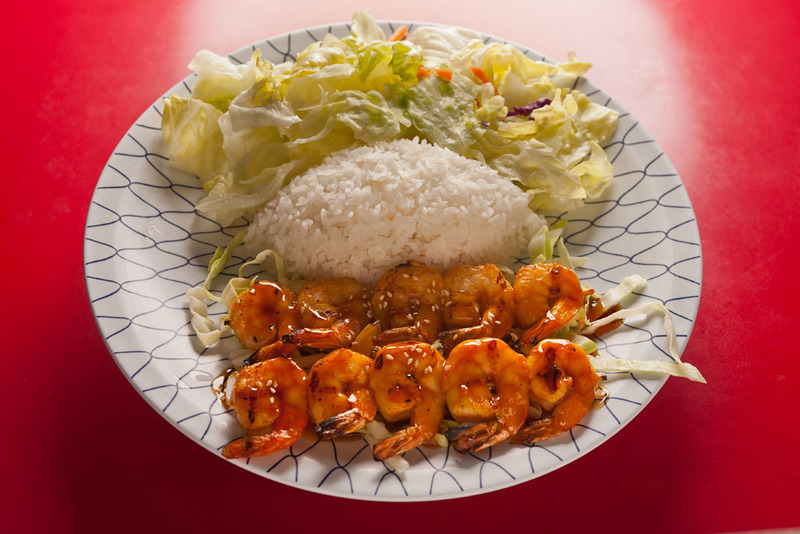 Seasoned prawns (10), skewered, grilled and drenched in teriyaki sauce served over shredded cabbage. Entrée comes with rice and salad. 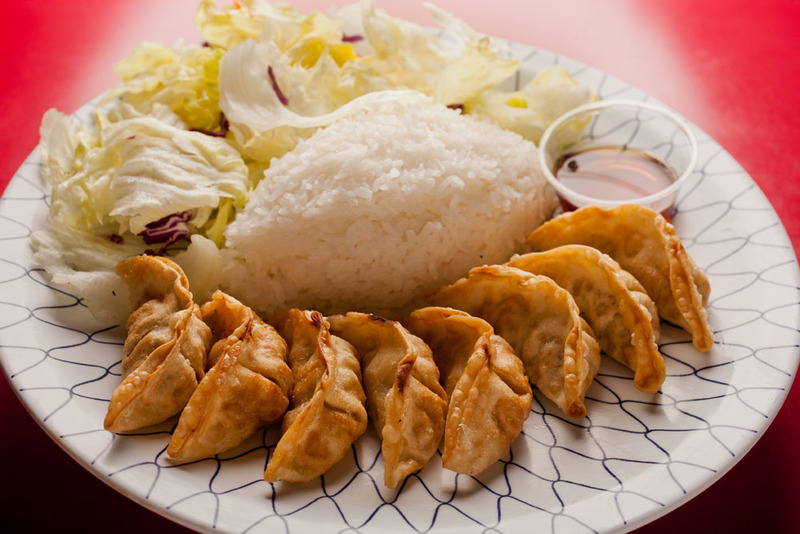 Eight pork and vegetable gyozas, deep fried till golden brown with a side of gyoza sauce, served with rice and salad. 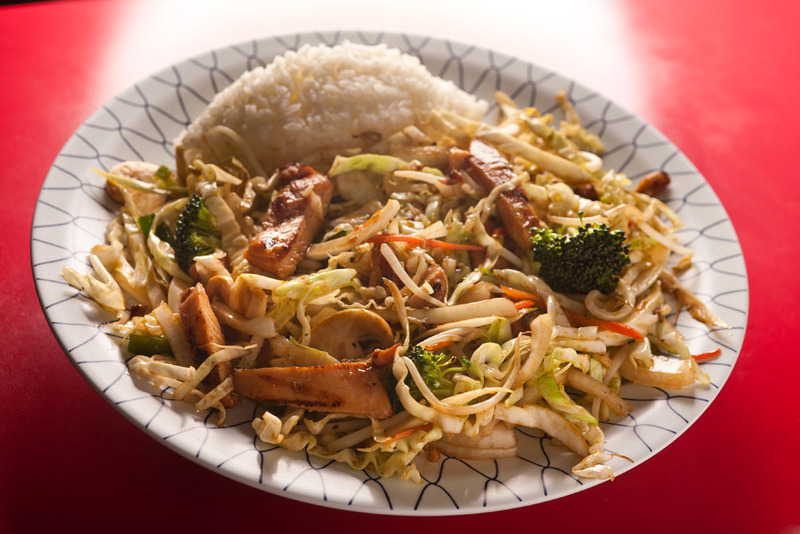 Shredded cabbage, carrots, onions, green onions, carrots, mushroom, broccoli and bean sprouts stir fried together with our marinated chicken. Entrée comes with rice or salad. 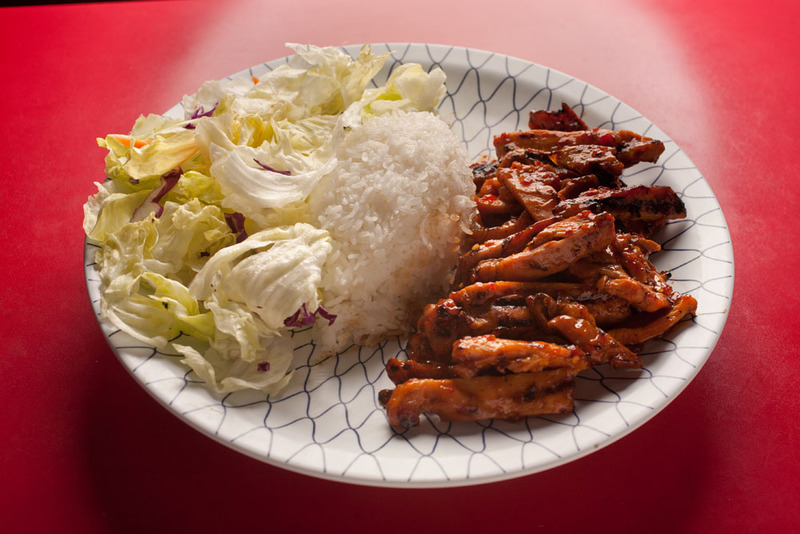 Marinated chicken thigh, grilled and sautéed with our famous spicy teriyaki sauce, entrée served with rice and salad. 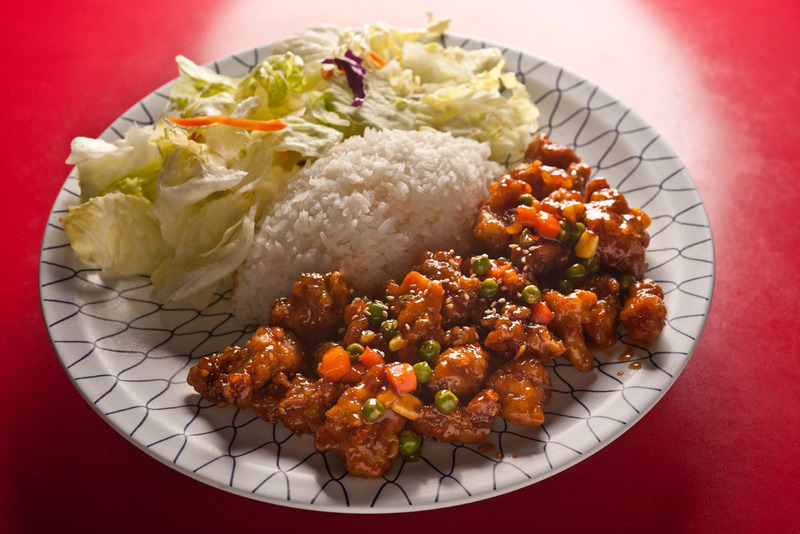 Breaded chicken, deep fried and glazed with our tangy orange sauce with chopped onions, bell peppers and carrots. Entrée comes with rice and salad. 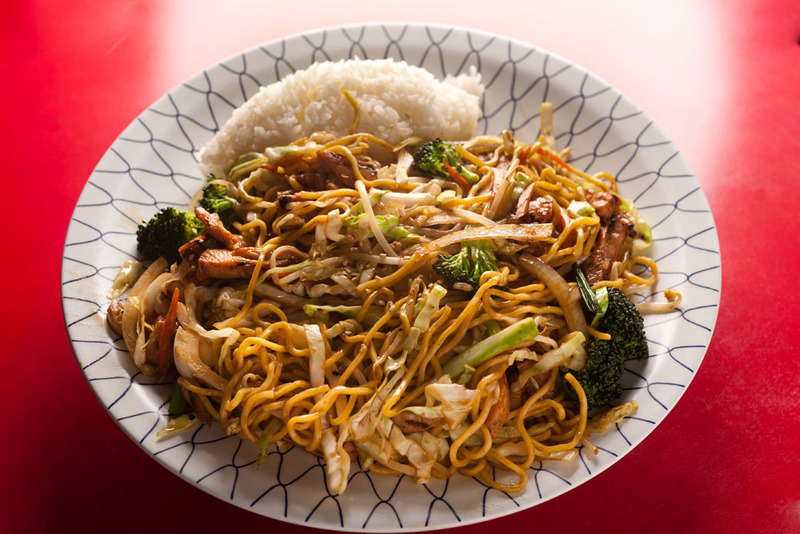 Yakisoba noodles sautéed with shredded cabbage, onions, green onions, carrots, mushroom, broccoli and bean sprouts. 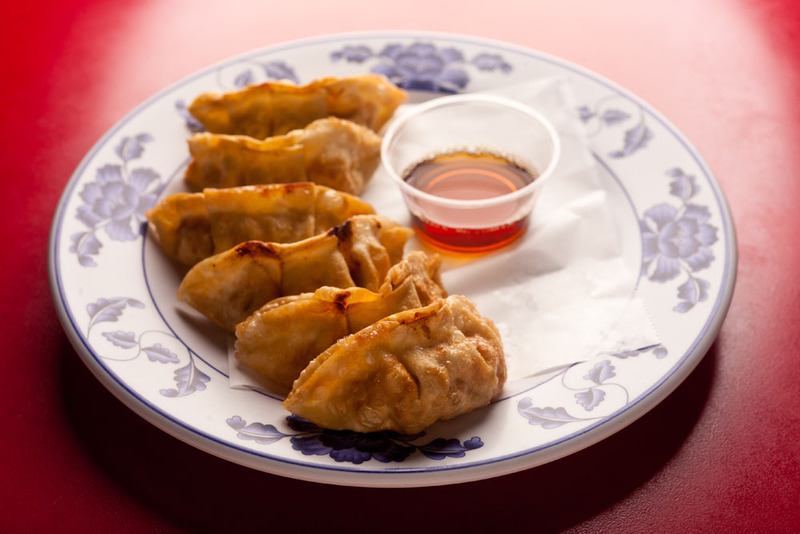 Add your choice of meat (chicken, pork, beef and prawns) or a vegetarian option (tofu or veggie). Entrée served with a side of rice. 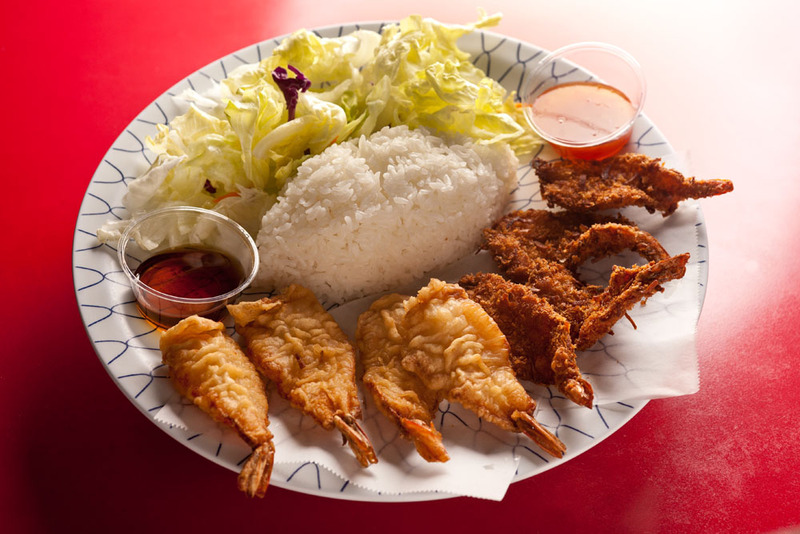 Seasoned prawns battered and deep fried (8), served with tempura sauce on the side. Entrée served with rice and salad. Seasoned prawns, breaded with panko and coconuts, deep fried (8) and served with sweet and sour sauce. Entrée comes with rice and salad. 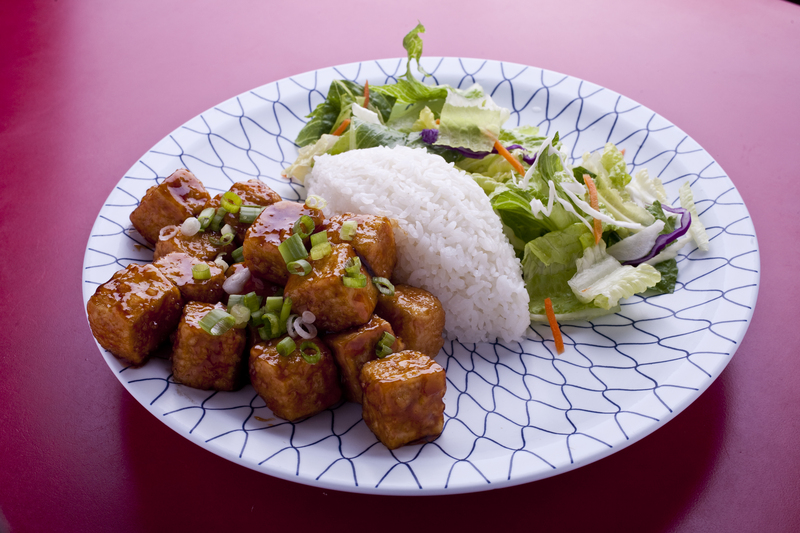 Deep fried tofu, sautéed with teriyaki sauce, topped with green onions. Entrée served with rice and salad. 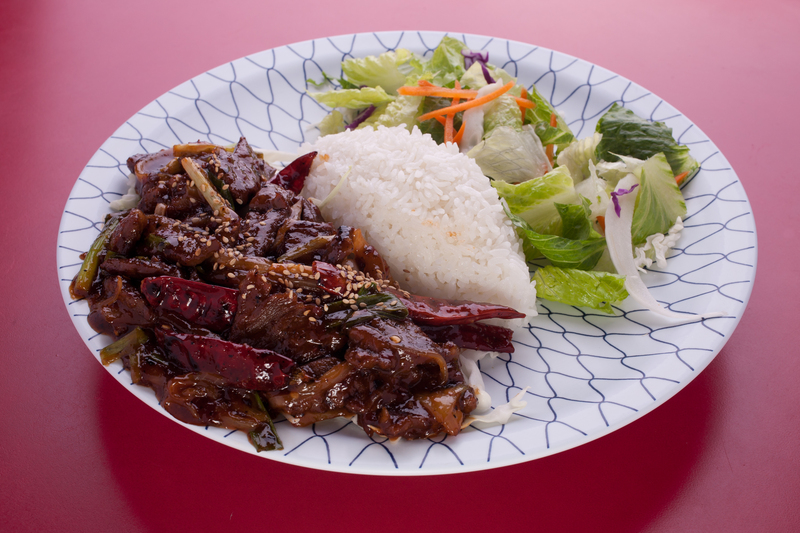 Thinly sliced beef, sautéed with onions, green onions and Mongolian sauce, served over a bed of rice noodles. Entrée comes with rice and salad. 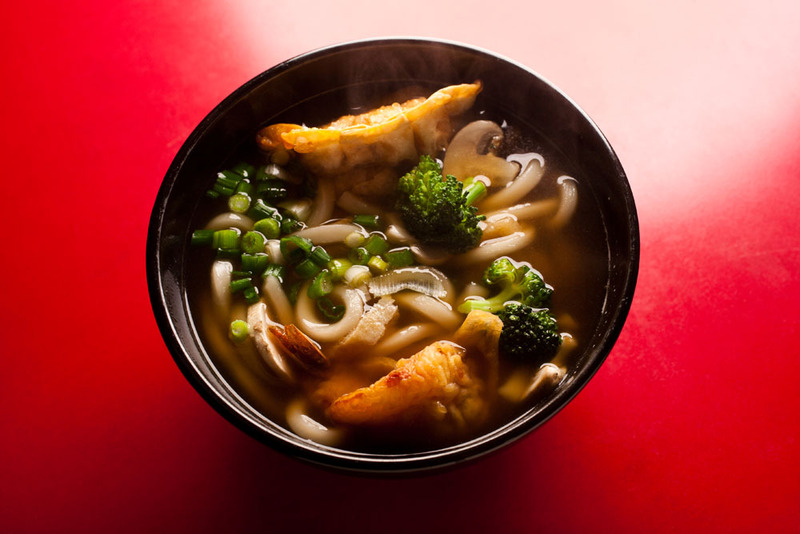 Udon noodles mixed with mushrooms, broccoli, gyoza and prawn tempura together in an udon broth topped off with green onions. 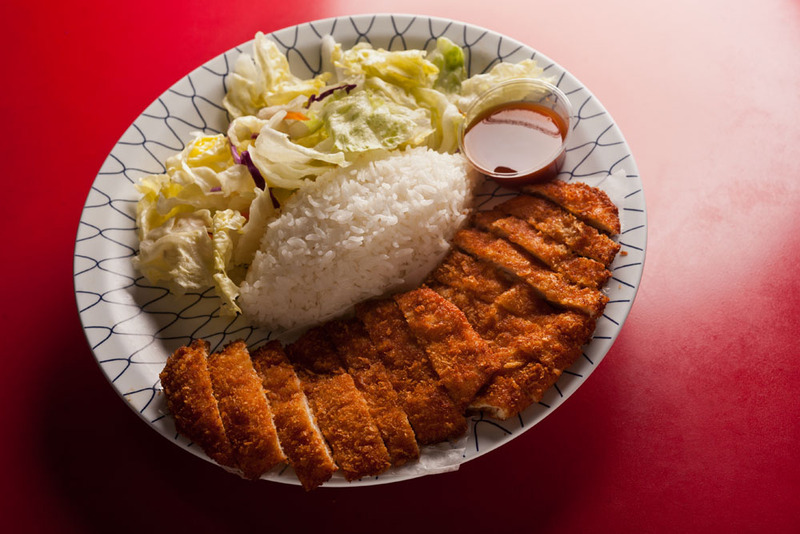 All white meat chicken breast, breaded and deep fried till golden brown, served with Katsu sauce for dippin’. Entrée comes with rice and salad. 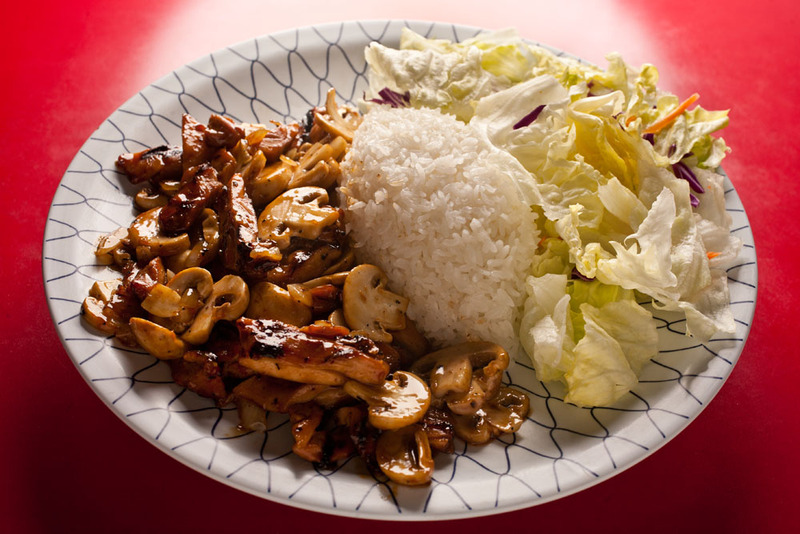 Marinated chicken, grilled and sautéed with chopped onions, sliced mushrooms and teriyaki sauce, served with rice and salad. 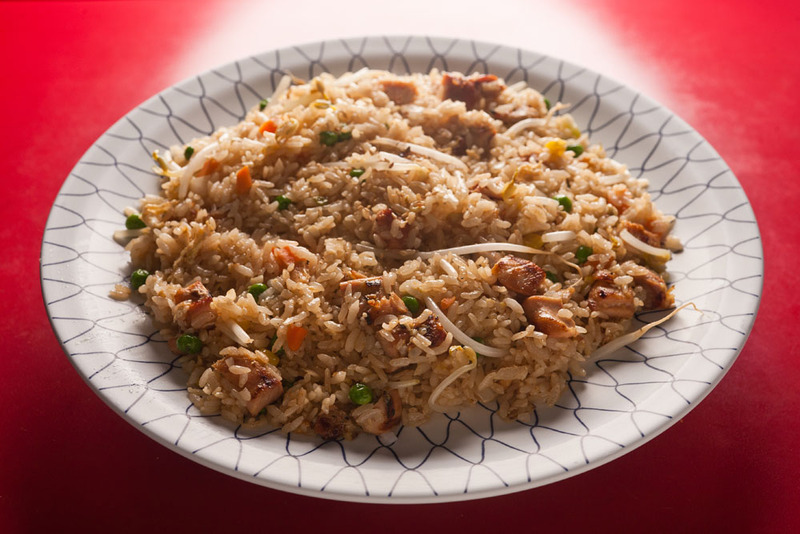 Two generous scoops of rice mixed together with an egg, chopped onions, peas, carrots, corn and bean sprouts and your choice of meat (chicken, beef, pork and or prawns) or a vegetarian option (tofu or veggie). 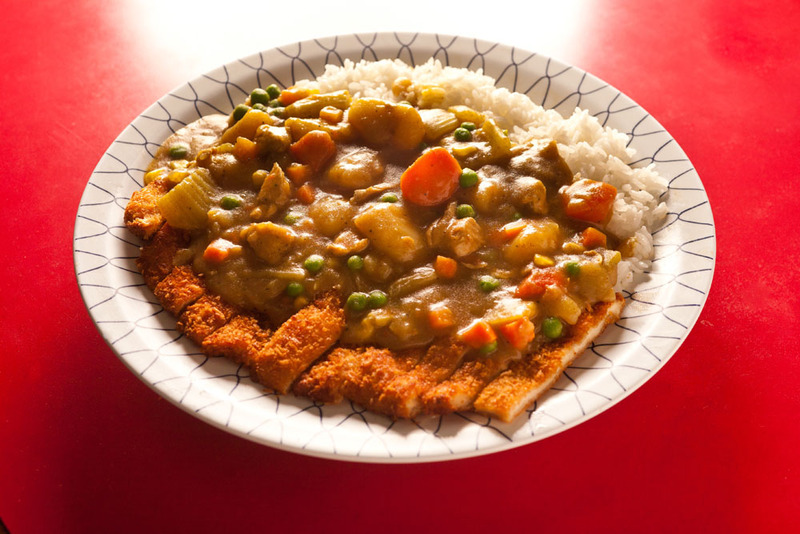 Breaded chicken, deep fried and sautéed with peas, carrots and corn along with our signature house special sauce. Entrée comes with rice and salad. 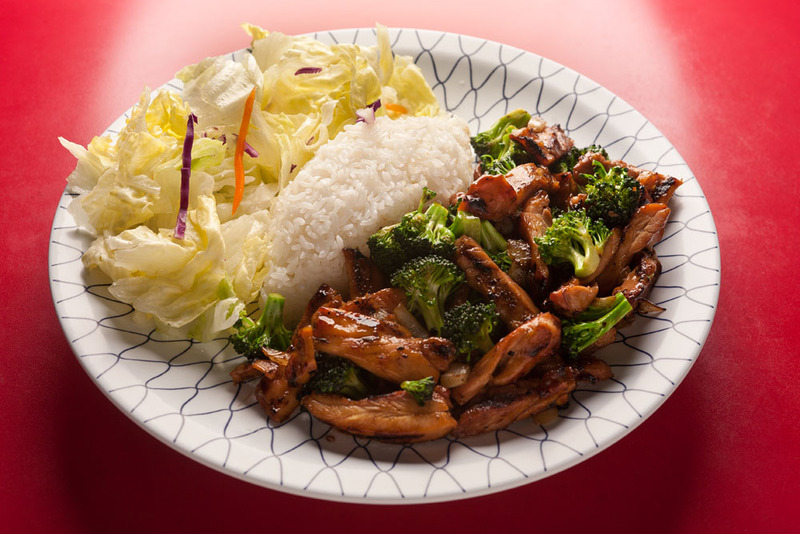 Marinated chicken, grilled and sautéed together with a little bit of onions, a handful of broccoli and teriyaki sauce, served with rice and salad. 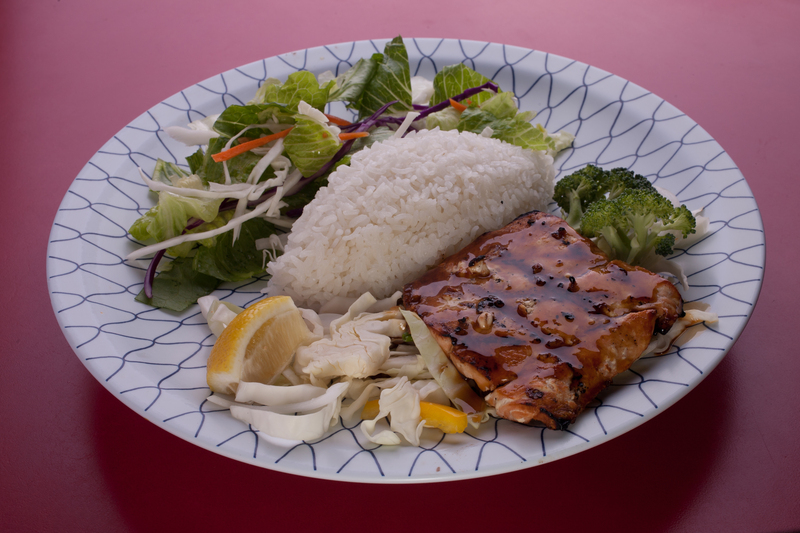 Marinated salmon pan fried in olive oil, drizzled with teriyaki sauce and served on top of a bed of cabbage with a slice of lemon and steamed broccoli on the side. Entrée comes with rice and salad. 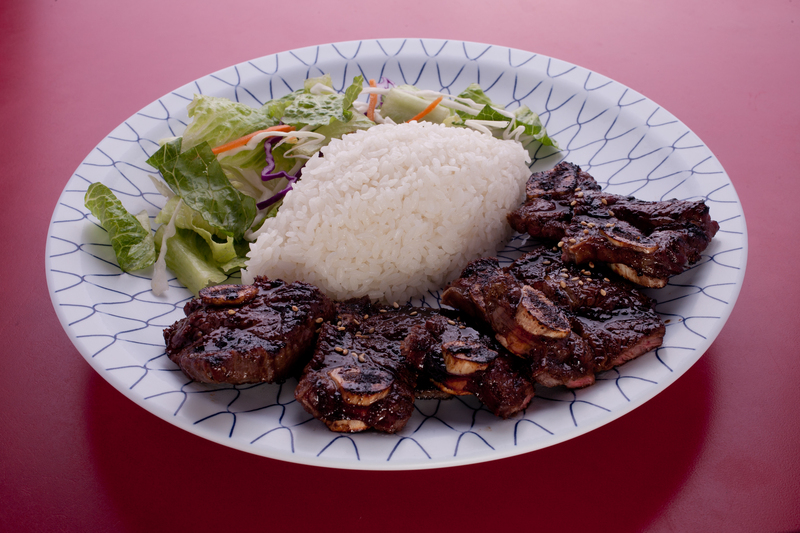 Marinated beef short ribs, bone intact, grilled to perfection, served with rice and salad. 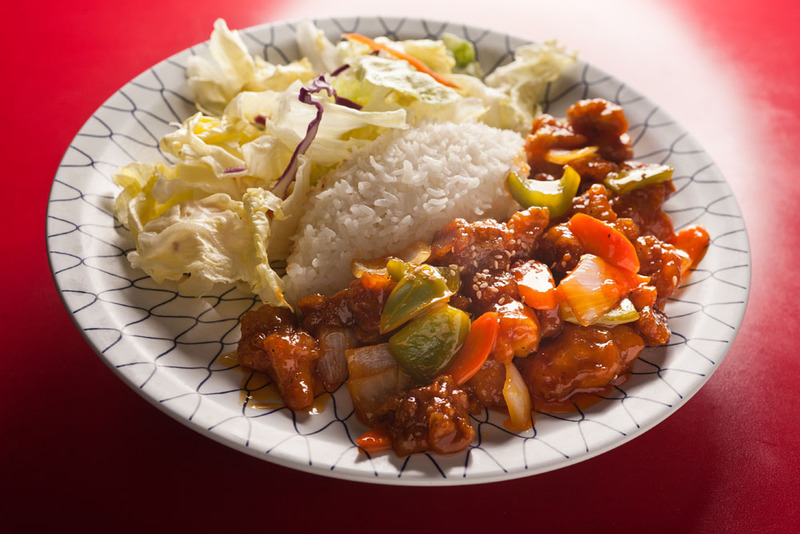 Breaded chicken, deep fried and glazed with our homemade sweet and sour sauce along with chopped onions, carrots and bell peppers. Entrée served with rice and salad. Chicken Katsu and white rice smothered with chicken curry. 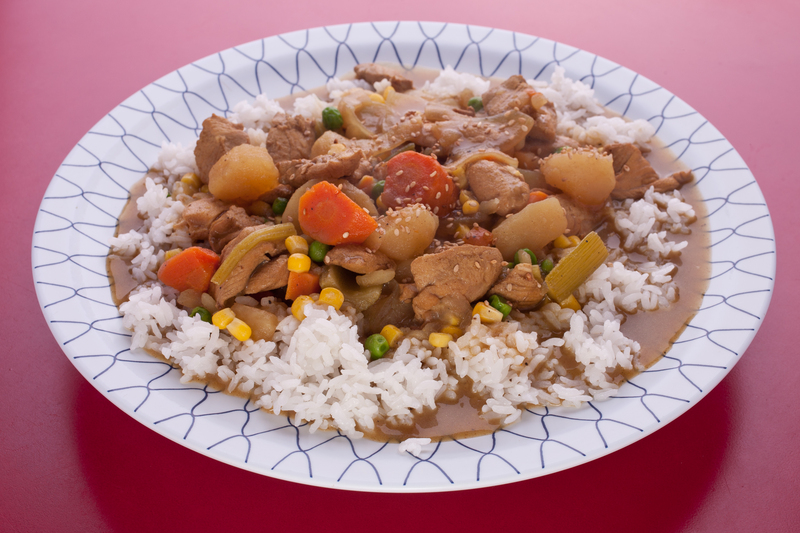 Chopped carrots, celery, onions, potatoes, peas, corn and chicken breast mixed with curry paste, smothered over white rice. 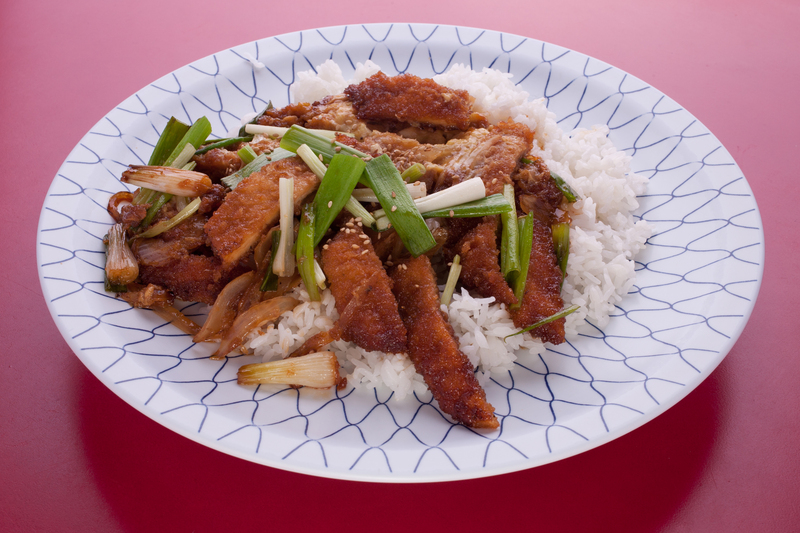 Chicken Katsu sauteed with onions, green onions and an egg with Donburri sauce topped over a bed of rice. 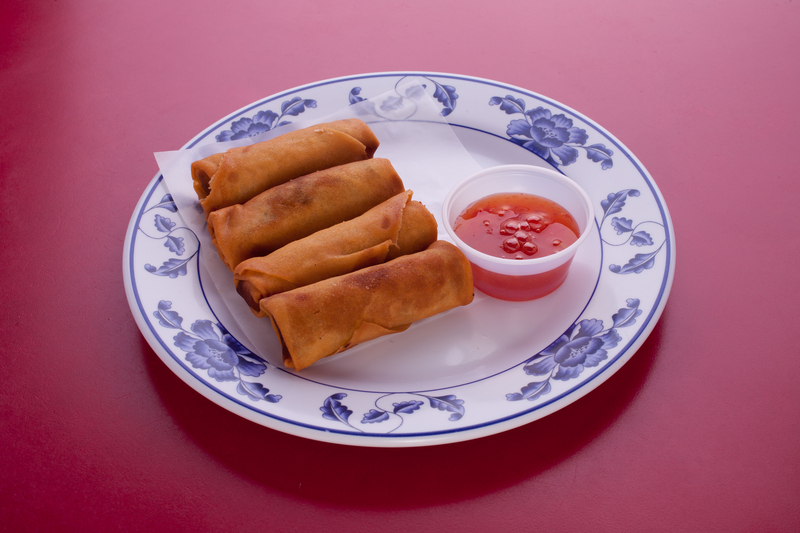 Choose any two items for $10.50 amount or Choose any three items for $12.95 amount. *Add $.50 for food cooked spicy. 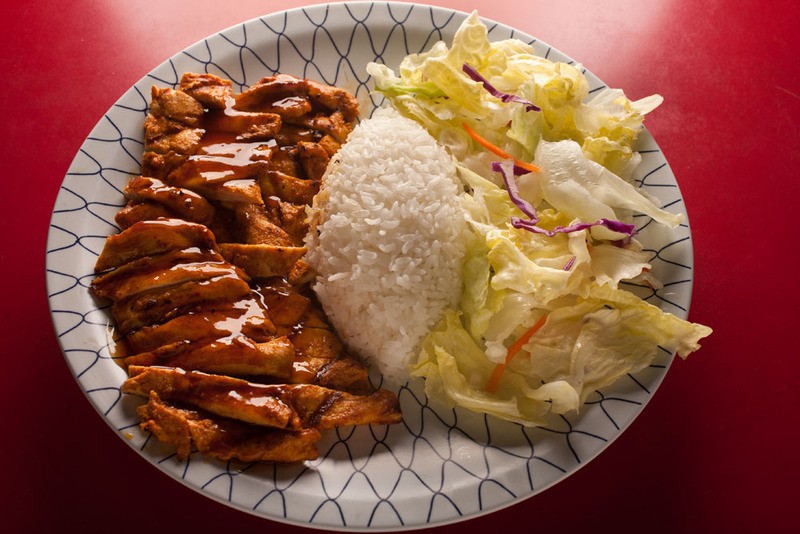 All of our entrees have NO MSG.